My absolute favorite part of summer is starting: tomato season. 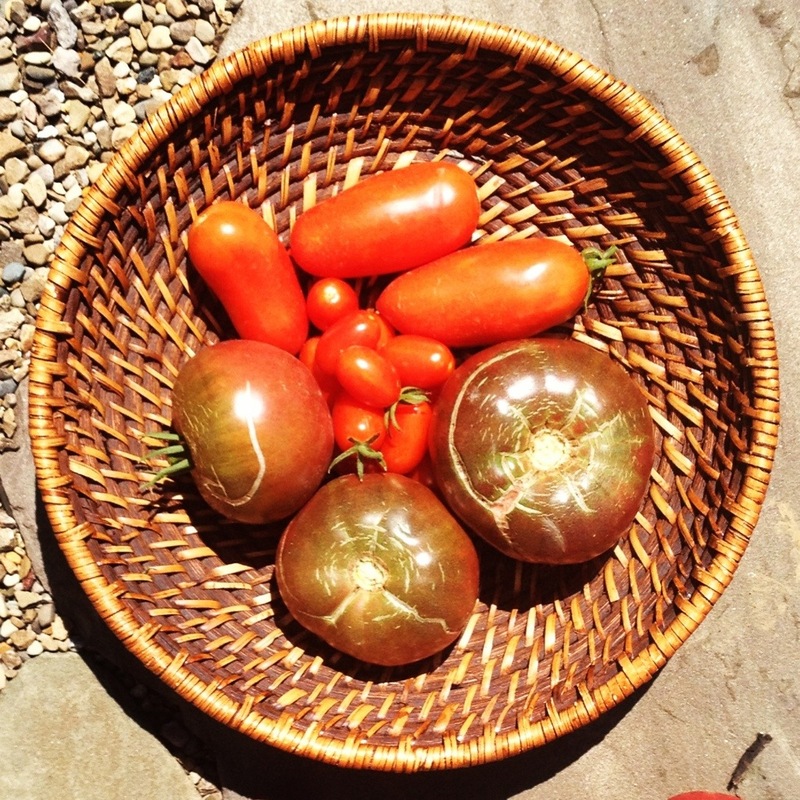 The garden is bursting with fresh tomatoes on the vine. This year I planted three varieties in the garden. Roma for cooking and canning, grape for salads and snacks, and some heirloom- I went with black zebras- for sandwiches, BLTs, and general consumption. Ready to gorge myself until the season is over and then will dream about next year. 1 slice of bread, preferably crusty whole wheat or French. Lightly toast bread, smear with mayo, top with slices of tomato and lightly sprinkle with salt.Enjoy!